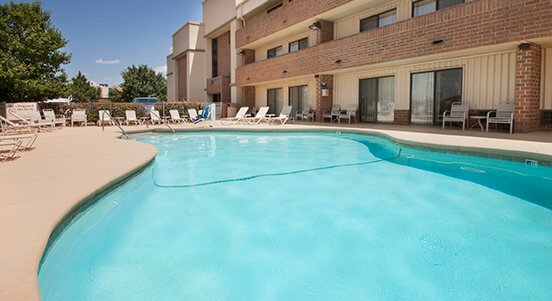 At the AmericInn Oklahoma City Airport hotel, you'll find stellar service along with all the modern amenities you expect. Choose rooms with one king-sized or two double beds. 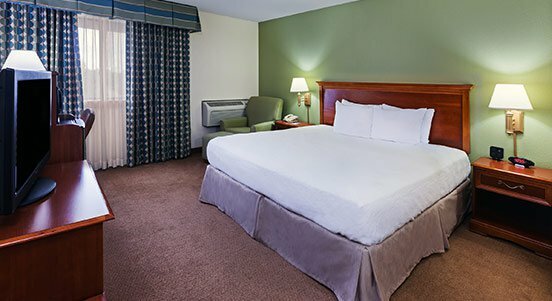 All guest rooms include flat screen TVs and Serta Perfect Sleeper beds, and the king rooms also offer microwaves and refrigerators. Additional amenities include an outdoor heated pool, free hot morning breakfast, two room suites, shuttle service, dry cleaning service, a business center and fitness center. 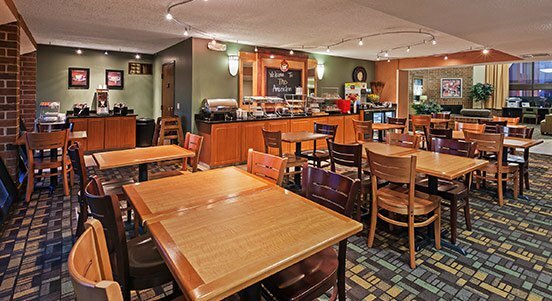 This smoke-free hotel is located near several restaurants and area attractions including White Water Bay Water Park, Myriad Botanical Gardens and the National Cowboy & Western Heritage Museum.